One of the world’s first Core Network as a Service solutions is now in live operation, supporting mobile connectivity across a global footprint of commercial airlines. The 5G ready solution will deliver a richer connected experience for commercial aircraft passengers and airlines. Ericsson (NASDAQ: ERIC) and Panasonic Avionics Corporation (Panasonic) have announced that Ericsson’s Core Network as a Service solution is now live, supporting connectivity services across multiple markets served by Panasonic. The geo-redundant solution is delivered through Ericsson’s ground-breaking Core Network as a Service and includes virtualized network applications such as packet core, unified data management, mediation, and mobile switching delivered on the Ericsson NFV Infrastructure. The Core Network solution is part of Ericsson’s as a Service offering to service providers globally, and is able to support 5G services to the passenger and airline. 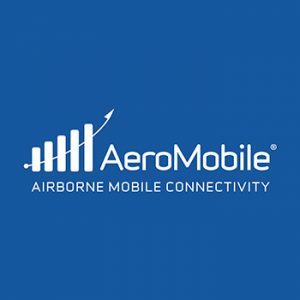 Kevin Rogers, CEO of AeroMobile, says: “Our partnership with Ericsson, and the technology provided, will allow us to better serve the communications needs of our passenger and airline customers. Furthermore, the solution enables us to grow our footprint and expand into other services offering a richer experience for the passenger and operational efficiencies for our airline customers. We are looking forward to continuing our exciting collaboration with Ericsson”.